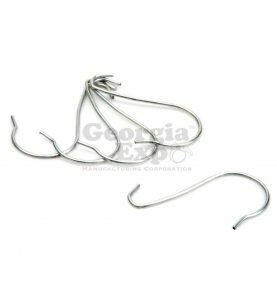 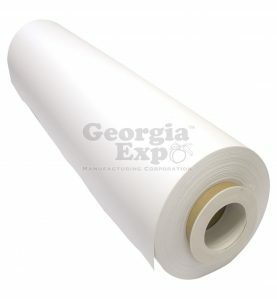 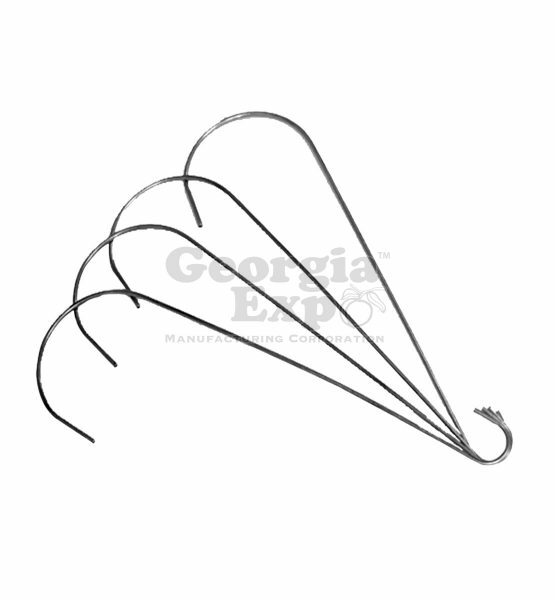 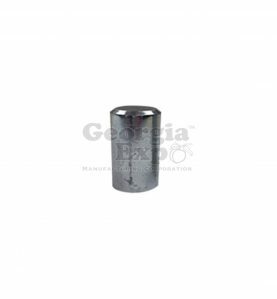 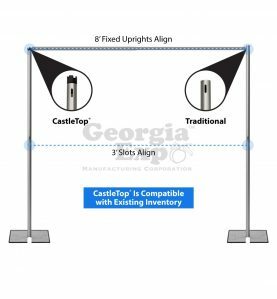 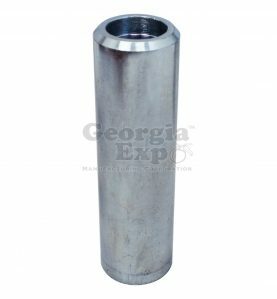 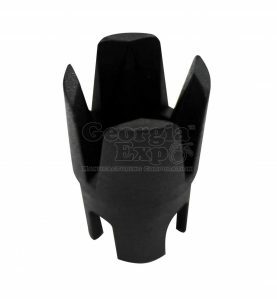 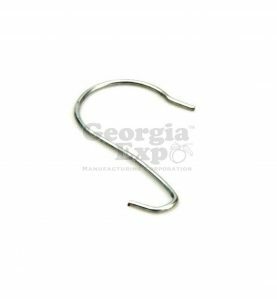 Our Large Sign Hooks are a new addition to the Georgia Expo product line. 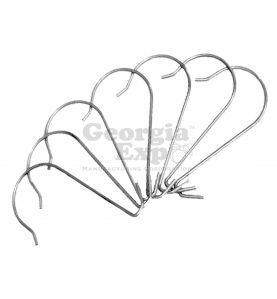 They are approximately 7.75″ in length with a upper hook diameter (hangs over Drape Support) of 2.26″ and bottom hook diameter (hangs signage) of .69″. 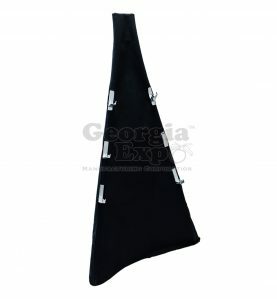 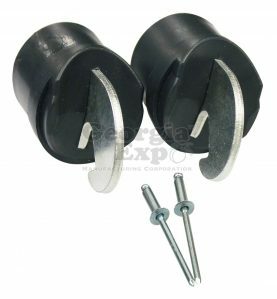 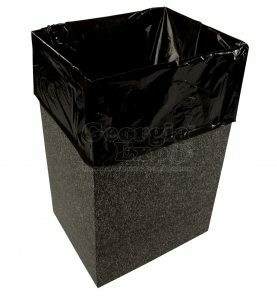 They are made from 100% steel and are designed to fit over a standard Economy Drape Support or Premier Drape Support.